There’s nothing subtle about the name here – think ‘Mega Distortion’ and you don’t envision puffy clouds and birds singing. So you’ve got your 7 string, tuned down, going crazy with your version of metal songs, and your current pedal sounds like a telephone pole transformer blowing up. 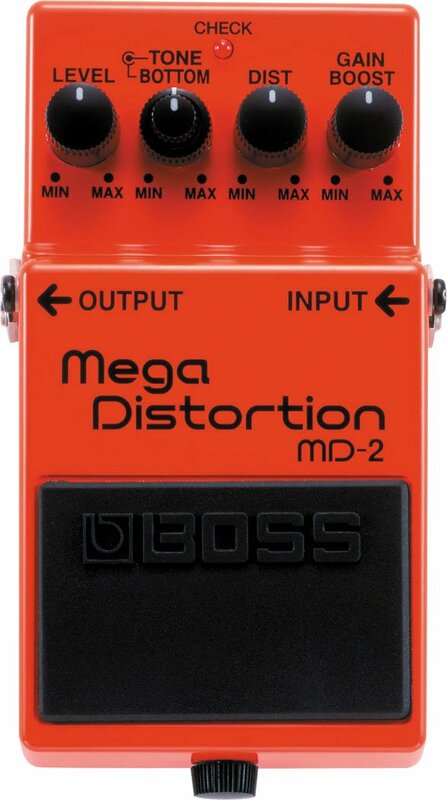 Enter the MD-2, designed for that bottom heavy sound you want to emulate. You want those staccato chord chunks to blast through the crowd, you want distortion, you want to rule the world! We’d tell you about the special circuits in this pedal, or the specifics of the tone controls, but you just want to rock, right? Shake your head like you mean it, like you’re on stage. This is your pedal.